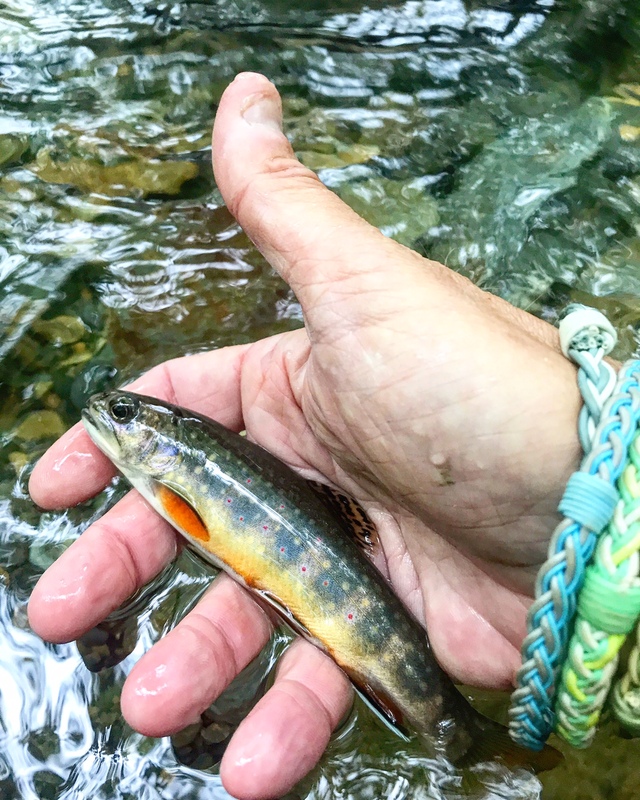 Did you know that 20% of the 2,900 miles of streams in the Great Smoky Mountains National Park are large enough to support trout populations? The Park offers a variety of fishing experiences, from going after trout in remote, headwater streams to angling for smallmouth bass in large, coolwater streams. Most of these streams remain at or near their carrying capacity of fish, according to the Park. Therefore, you have a great opportunity to catch these beauties throughout the year! The Park permits fishing year-round, from 30 minutes before sunrise to 30 minutes after sunset in all streams. Tennessee residents and nonresidents age 13 and older must have a valid fishing license. The daily possession limits are five brook, rainbow, or brown trout or smallmouth bass. Twenty rock bass may be kept in addition to the above limit. Fishermen may use only artificial flies or lures and a single hand-held rod. Additional information is available from the park at http://www.nps.gov/grsm/planyourvisit/fishing.htm To trout fish in Gatlinburg, you must purchase a special license. The city does not allow fishing on Thursdays. 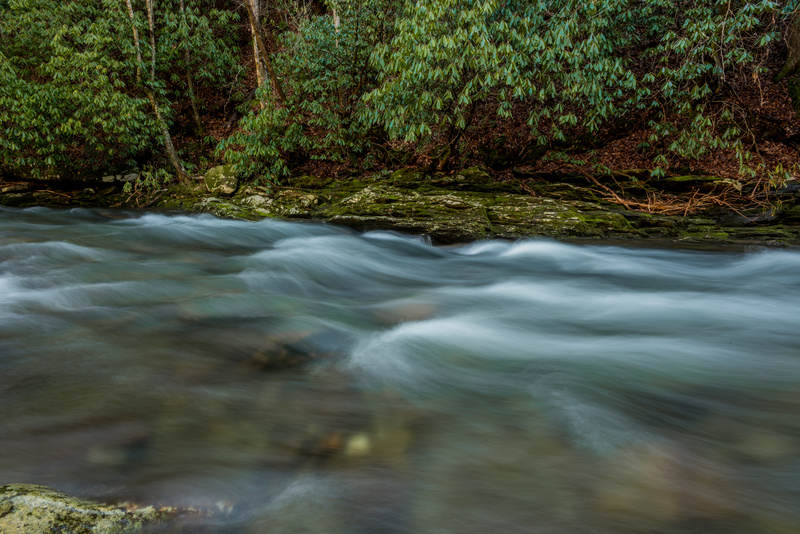 Fishing is plentiful in the Great Smoky Mountains National Park. There are 67 different species of fish in the park. 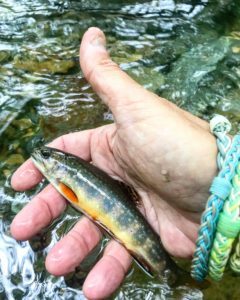 Brooks are the only trout native to the Smokies, although rainbows and browns have been introduced and are found in most large streams. Long-term monitoring indicates that fishermen play practically no role in the fish population changes. Major spring floods and summer droughts have much more effect both inside, and outside, the park. Local outfitters provide everything from rods and reels to professional guides. These local experts can offer tips and insights for any skill level. They know on what the fish are biting on any given day! Spending a day with a local guide can speed up the learning curve. You can research guides on your own, or ask advice from a local fishing shop. If you are new to fishing, many experts recommend the East Prong and the West Prong of the Little Pigeon River. Both areas are easily accessible and offer medium to large fish. And if fishing is not your thing, just watch our online menu and make a reservation for trout night at Buckhorn Inn! The term “biodiversity” refers to the variety of plants, fungi, animals, and other organisms that can be found in a particular location. 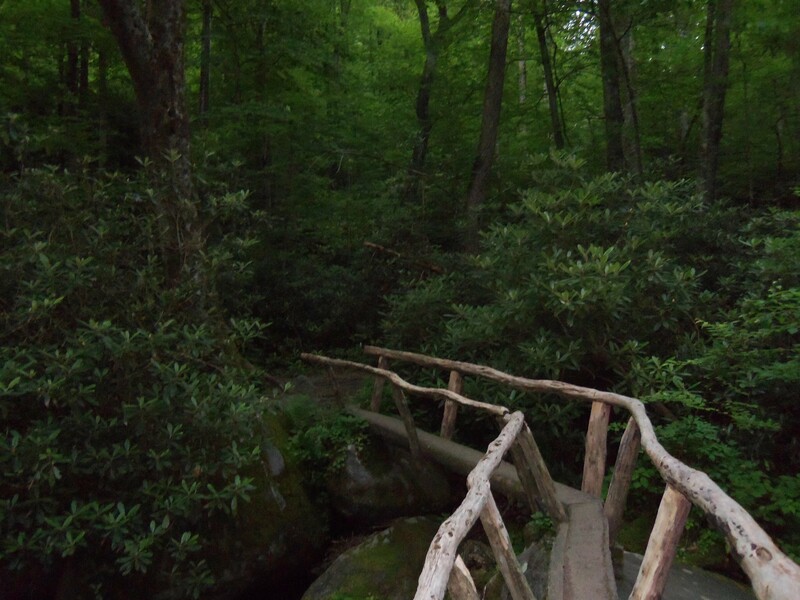 The Great Smoky Mountains is the most biodiverse park in the National Park System. The more than 800 square miles of the park contains more than 19,000 documented species. Some scientists believe an additional 80,000 to 100,000 species may be found here. What are the Reasons for such Biodiversity? According to the National Park Service, mountains, climate, and weather are the big reasons. 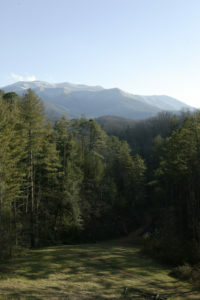 http://www.nps.gov/grsm/learn/nature/index.htm The Smokies are among the oldest mountain ranges in the world. The plant-covered mountains were formed as long as 300 million years ago. Elevations in the park range from 850 to 6,643 feet. This range is similar to what one would find from Georgia to Maine. More than 95% of the park is covered with forest, much of it old-growth. 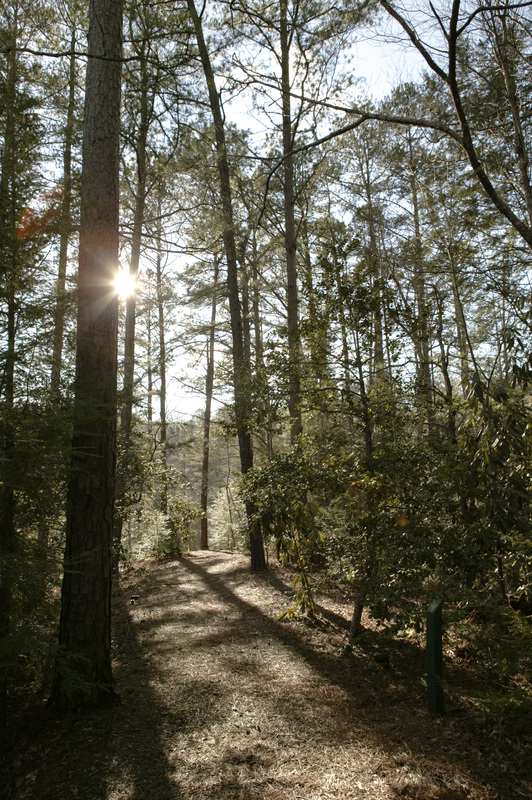 The park is home to 100 species of native trees. 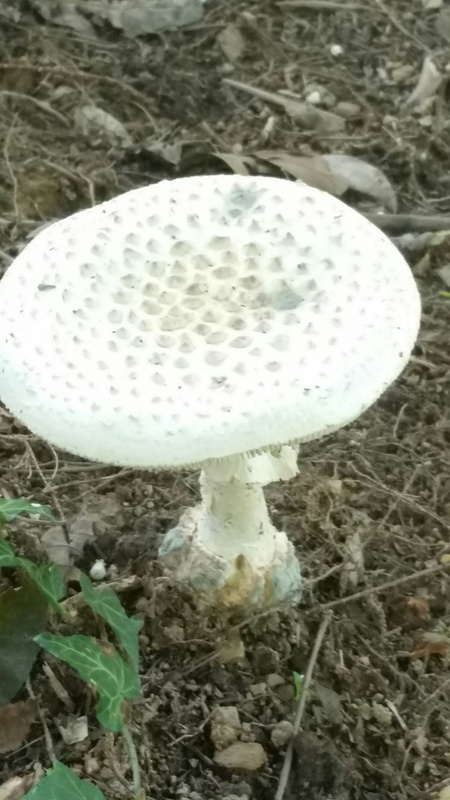 The abundant rainfall and high humidity provide good growing conditions. It is interesting to note that the relative humidity in the Smokies in the summertime is about twice that of the Rocky Mountain region. Mushrooms reach record diversity in the Smoky Mountains. The north/south positioning of the Appalachian chain allowed the Smokies to become a home for many plants and animals that sought refuge from the glaciers of the last ice age. 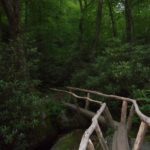 More than 1,500 flowering plant species have been identified in the Great Smoky Mountains National Park. 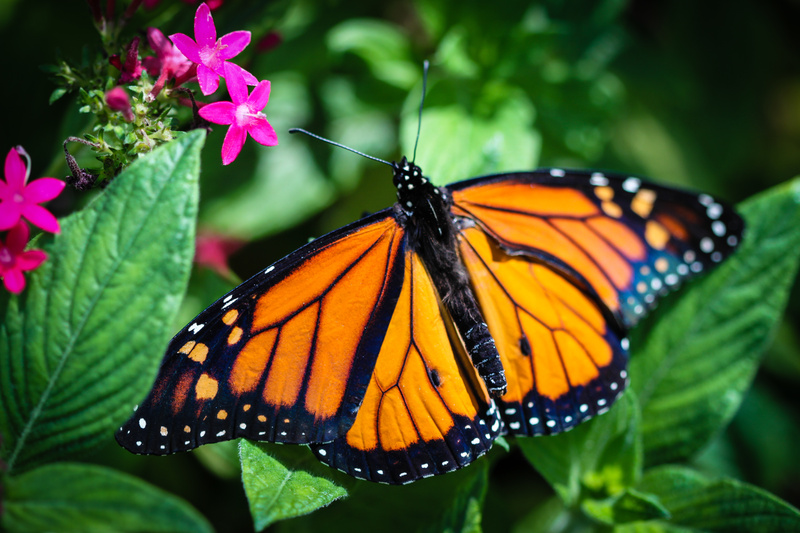 Scientists report that the park also is home to more than 200 bird species, 68 species of mammals, 67 native fish species, 39 species of reptiles, and 43 species of amphibians. The University of Tennessee has worked with the Great Smoky Mountains National Park to create the Species Mapper. The Species Mapper uses information from observations and research studies to predict where various species may be found in the Park. As more observations are added to the model, it becomes more accurate. We will use this blog space to share an occasional series of articles focusing on the amazing biodiversity of our area. The Great Smoky Mountains National Park is a large, protected area where black bears can roam freely. The park service estimates that about 1,500 bears live in the park–that translates to a density of about two of the animals per square mile. Sighting one of these magnificent creatures is a highlight of a vacation, but caution is necessary for the protection of the bear and of the tourist. Bears can live 12-15 years or more in the wild, but those which have had access to human food and garbage have a life expectancy of only half that time. Black bear (Ursus americanus) mother standing in the road with young cub peeking out from the bushes. Like us, bears are omnivores. Berries and nuts make up about 85% of their diet. Insects and carrion are valuable sources of protein. These creatures have a very keen sense of smell. Feeding bears, or allowing them access to human food and garbage causes a number of problems. It causes them to lose their instinctive fear of humans. Over time this means they may begin approaching people and may become more unpredictable and dangerous. They may begin to pose a risk to public safety and must be euthanized. In other cases they come close to human areas and are hit by cars or become easy targets for poachers. The park service warns us that Garbage Kills Bears! What Do I Do If I See Bears? They are beautiful creatures. But remember that they have color vision, a keen sense of smell, are good swimmers and tree climbers, and can run 30 miles per hour. The park service provides a short video to help tourists understand what to do if they see a bear http://www.nps.gov/grsm/learn/nature/black-bears.htm If you do see a bear you should remain watchful and not approach it. Do not allow the bear to approach you. Being too close may promote aggressive behavior from the bear. For these reasons, willfully approaching within 50 yards (150 feet) or any distance that disturbs or displaces a bear, is illegal in the park. Use binoculars or a telephoto lens to view them. If the bear approaches you, don’t run but rather back slowly away. The bear will probably do the same. If he continues to approach you, change your direction. If he continues, stand your ground and talk loudly or shout at it. Make yourself look as large as possible. Use a stout stick to intimidate the bear. It is very rare that you would be physically attacked, but if so you should not play dead. Fight back aggressively with any available object. Remember, the goal of bear management is to keep these magnificent animals shy, secretive, and afraid of people. 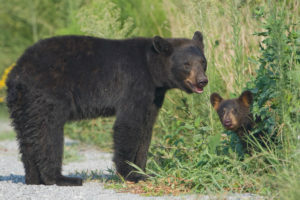 Visitors to the Great Smoky Mountains National Park look forward to spotting our large wildlife–namely bear and elk. We are fortunate indeed to be located near such splendor. 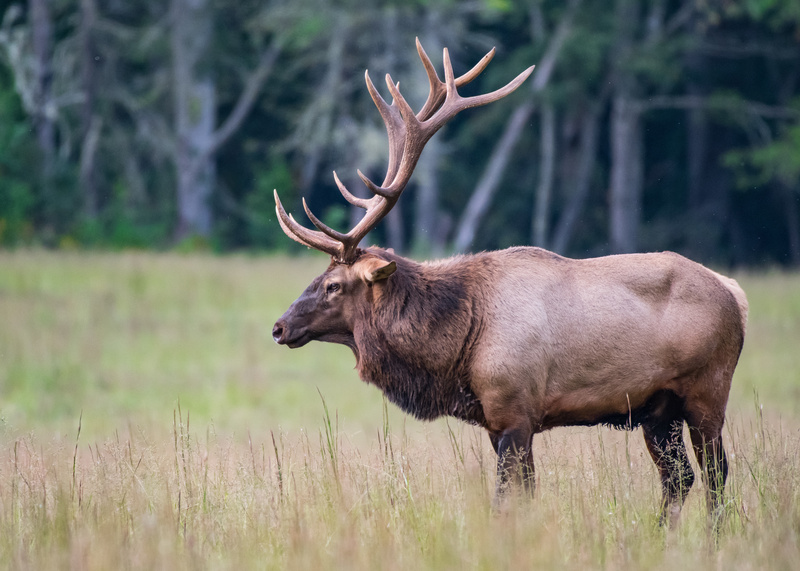 A bull elk is a magnificent sight. Did you know that once large numbers of elk freely roamed the Appalachian Mountains and eastern United States? Unfortunately, overhunting and destruction of habitat severely lowered their numbers. Conservation groups became concerned that the animals would eventually become extinct. The last of the magnificent beasts disappeared from Tennessee in the mid 1800’s. In 2001 the National Park Service reintroduced elk to the Great Smoky Mountains National Park. Twenty-five of the animals were moved to the park then, and 27 more were placed here in 2002. The elk (or wapiti) wear radio collars and ear tags to aid conservationists in tracking their range and movements. The herd now numbers as many as 200 animals. These are the largest animals in the Smokies. The bulls weigh 600 to 700 pounds, measure 7 to 10 feet long, and sport antlers that can measure 5 feet from tip to tip. During March and April the animals begin to shed their antlers. Please note that it is not legal to remove antlers from the park. The discarded antlers are a rich source of calcium for other wildlife in the park. Did you know that their are roughly 150 cemeteries scattered throughout the Great Smoky Mountains National Park? The land for the park was purchased from families, many of whom lived in this area since the 1800’s. 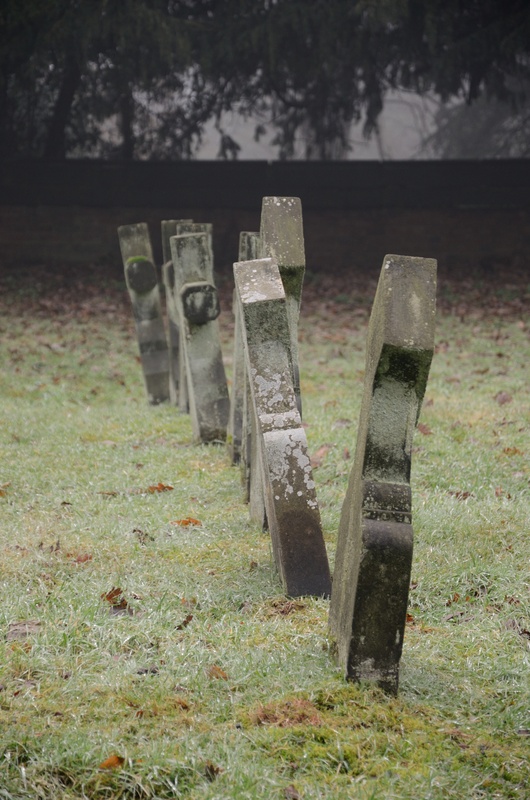 Along with homes, churches, farm buildings, and stone walls, many of their cemeteries are part of the park land. Some are near main trails, others can be found with a map, and a few are slowly becoming overgrown and disappearing. More than 150 cemeteries can be found in the Great Smoky Mountains National Park. One of the most popular books published by the Great Smoky Mountains Association is “Cemeteries of the Smokies”. The book provides directions to all 152 graveyards in the park. For each site, the book provides a complete listing of burials and dates, kinship links, and epitaphs. There is also an index of local family names. These historic spots provide a tangible link with our area’s past. They can provide us with insight into customs, religious beliefs, cultural and ethnic influences, and the community development of our ancestors. The Hiking 101 program sponsored by the Great Smoky Mountains Association takes its inspiration from this book. They have designed 12 guided hikes and a bus tour to take participants to the sacred spaces within the boundaries. These hikes are not all easy, but the hiker is rewarded by coming to know those who lived and died here, and remain buried in lost graves, family plots, and in church burial grounds. Registration for these hikes is now open. For program details and to register, please visit http://www.smokiesinformation.org. The hikes are limited to 15 individuals each and run from March 17 through October 16 2018. It is important to note that the Park Service frowns on creating “rubbings” of inscriptions on the headstones. The pressure needed to make a clear rubbing can damage the surface. The Great Smoky Mountain Association asks for your help in ensuring the preservation of these plots for future generations. 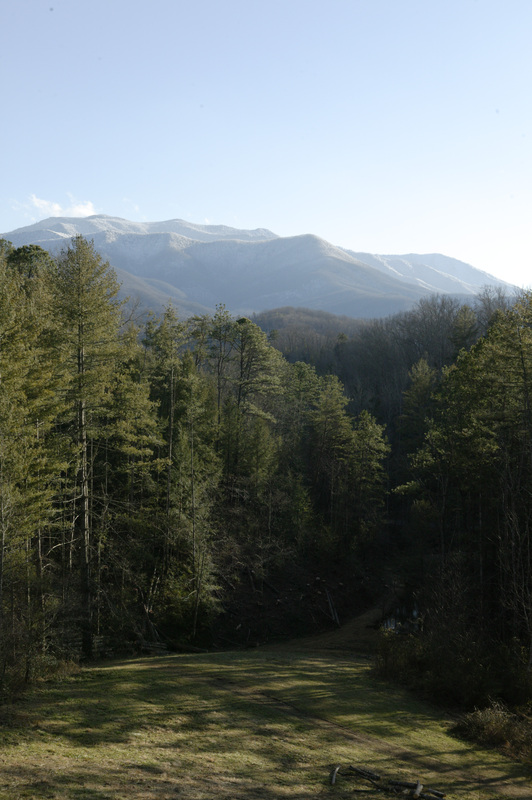 The view of Mount Le Conte from the Buckhorn Inn veranda is breathtaking. Rising 6,593 feet, Mount Le Conte accounts for the majestic view from the Buckhorn Inn veranda. It is the highest peak in the Great Smoky Mountains National Park that is entirely within the state of Tennessee. It is the third-highest peak in the national park, behind Clingman’s Dome and Mount Guyot. Who is Mount Le Conte named after? There is a bit of controversy about that. Joseph Le Conte is listed by the United States Geological Survey as the famous geologist for whom the mountain was named. Others believe the mountain was in fact named for Joseph’s brother, John Le Conte, who was a physicist at South Carolina College. What we do know for sure is that Paul Adams, an enthusiastic hiker, had a major impact on this area. In 1924 he joined the Great Smoky Mountain Conservation Association, whose mission was to make the region into a national park. As part of the campaign Adams led a group of Washington DC dignitaries on a hike up the mountain so that they could appreciate first-hand its rugged beauty. The trip was successful and eventually the entire region became protected as part of the Great Smoky Mountains National Park. There are five trails that hikers may use to reach the summit of Mount Le Conte. 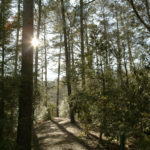 They are the Alum Cave, Boulevard, Bullhead, Rainbow Falls, and Trillium Gap Trails. Millions of years of erosion and weathering have given Mount Le Conte its gently sloping shape. It is composed largely of sandstone, siltstone, and shale that was formed hundreds of millions of years ago. One remnant of the Ice Age can be seen today–a dense stand of Southern Appalachian Spruce-Fir Forest blankets the upper slopes. During your next visit to the Buckhorn Inn we encourage you to appreciate Mount Le Conte, whether that means hiking to the summit or enjoying the view, spiced tea in hand, from one of our veranda rocking chairs.